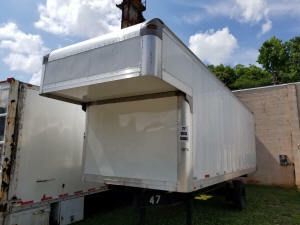 Used Truck body in 25 feet, 26 feet, 27 feet, or 28 feet. 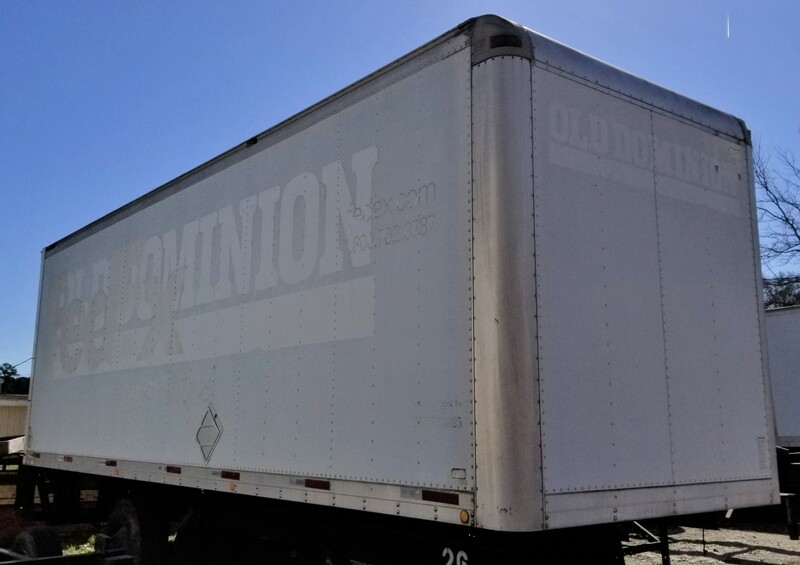 Below you will find our current inventory of 26 ft. box vans ready to mount. We are able to repair or modify your current truck. Stop in for a repair estimate on your straight truck or truck body wreck damage. Currently we have available: Morgan Truck Bodies and Supreme Truck Bodies. Door opening 91"h x 88"w. Inside 97"h x 92"w.
Door opening 85"h x 85"w. Inside 93"h x 90"w.
Door opening 91"h x 94"w. Inside 98"h x 98"w.
Unit 979 Complete 26' Used Truck body. SWING Door opening 95"h x 88"w. Inside 104"h x 92"w.
Frame Rails are to be replaced still. 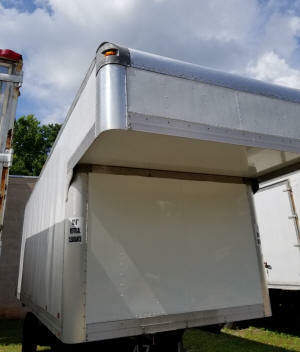 Door opening 79"h x 88"w. Inside 86"h. Frame Rail width 34". Door opening 104"h x 94"w. Inside 109"h x 96"w.